To Celebrate the 100th Anniversary of the publishing of one of the most loved children's stories, The Thimble Garden has created this unique set of thimbles. 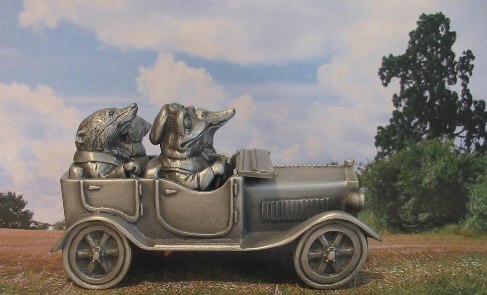 The set consists of four superbly sculpted and highly detailed thimbles Toad, Badger, Ratty and Mole, they all fit into a pewter car thimble holder. This unique collectable is sure to become an heirloom of the future. 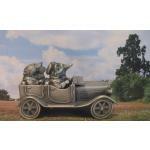 The set as been hand cast and hand finished from fine pewter in England by highly skilled artisans. The set comes with a certificate of Authenticity and is carefully packaged. Set height approx 50mm; size of car - approx 90mm long and 60mm wide.